London, UK – Esoteric Antenna is pleased to announce the release of the eagerly awaited new studio album by modern progressive rock ensemble Sanguine Hum. 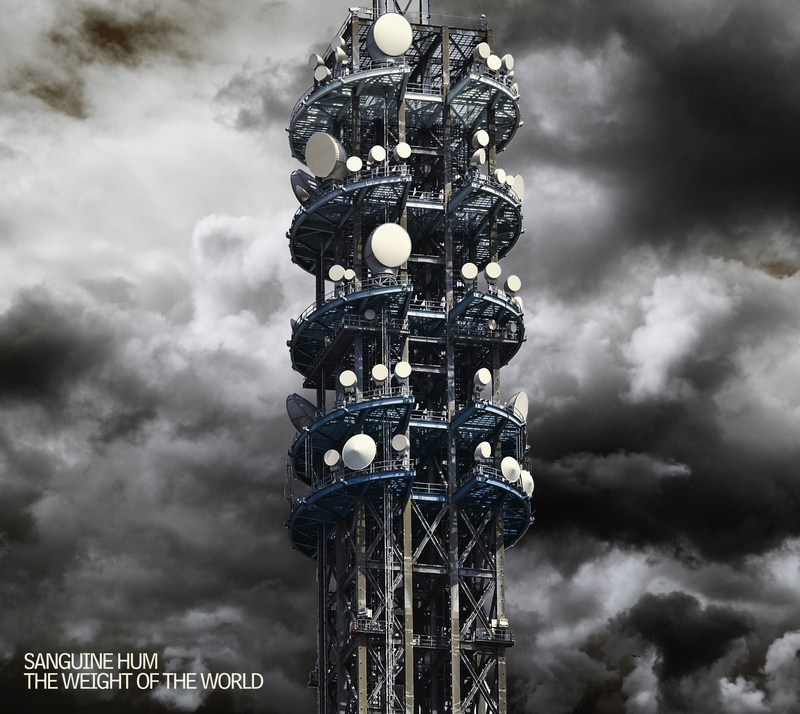 ‘The Weight of the World’ sees Oxford, UK’s Sanguine Hum expand their musical horizons on all fronts with a seven-track collection of diverse compositions – technically challenging and exciting yet always melodic and direct. Songs such as “From the Ground Up”, “Cognoscenti” and “System for Solution” pursue the Porcupine Tree meets Radiohead approach of their debut record ‘Diving Bell’ with powerful yet intricate riffs propelling the songwriting that continues to make ever more inventive use of surprising twists and turns in the arrangement. Surprises are to be found as well in the instrumentation as the band open up the sound and more explicitly reference a love of electronica and the music of artists such as Boards of Canada and Aphex Twin, best heard in the song “Day of Release” as synthetic percussion and rumbling synths give way to chiming acoustic guitar and a soaring vocal melody. As a counterpoint, the album also features the highly atmospheric “Phosphor”, which sees Sanguine Hum break new creative ground. Perhaps even more exciting for a band that perhaps held some of their progressive influences in check on their debut album, is the 15-minute title track that manages the task of combining effective and emotional songwriting with thrilling musical developments that push the band to the limit. ‘The Weight of the World’ breaks new ground for a band at the forefront of truly “progressive” music. Recorded at Oxford’s Evolution studios, Joff Winks (vocals, guitars, programming), Matt Baber (keyboards, percussion, programming), Brad Waissman (bass) and Andrew Booker (drums, percussion) have pushed the creative boundaries of Sanguine Hum to produce one of THE truly progressive and landmark albums of 2013. In support of the release of ‘The Weight of the World’, Sanguine Hum will be performing at The Borderline in London on Friday June 7th with TIN SPIRITS and MATT STEVENS. The band will also be playing at Band on the Wall in Manchester on June 21st – same line-up as at the Borderline. SANGUINE HUM – ‘The Weight of the World’ Limited Digipack 2 disc deluxe edition with Bonus DVD (NTSC Region Free): The Making of ‘The Weight of the World’ home movie.